MLIS alum and current Interdisciplinary Studies PhD Candidate Devon Greyson has been awarded Knowledge Translation funding from the Canadian Institutes of Health Research (Institute of Gender and Health) for a project titled, "Theatre-based Knowledge Exchange with Early-Age Parents and Community Stakeholders." Congratulations to Dr. Luanne Freund and Dr. Victoria Lemieux on their recent promotions to the rank of Associate Professor. It is with sadness that we let you know that Dr. Sam Rothstein, the original Director of the School of Library, Archival and Information Studies (then the School of Librarianship), passed away on Tuesday of this week. 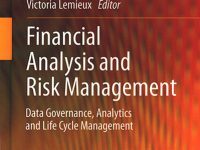 UBC iSchool Associate Professor Victoria Lemieux's latest publication takes a look at the Global Financial Crisis and the weakness of financial records. Dr. Luciana Duranti, Chair of the Master of Archival Studies program, was named a Fellow of the Association of Canadian Archivists (ACA) at the 2014 ACA Conference in Victoria, British Columbia (june 26 – 28, 2014). According to the ACA, this award is the highest recognition the association can bestow on its members. Congratulations to Grant Hurley and Matthew Murray, who were awarded conference funding under the programs “Student to ACA” and “Student to CLA”. In support of conference attendance, every year SLAIS provides financial assistance to a student in each of its programs, a travel stipend of up to $500. 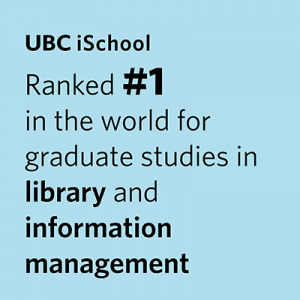 Kate Sloan, a student in the Master’s of Library and Information Studies Program at the University of British Columbia, says co-op “opened [her] eyes to new opportunities” in her job field. Kate, who worked at the Calgary Public Library (CPL) as a Youth Services Co-op student, was given both a large amount of responsibility and the ability to gain experience in several aspects of CPL’s operations. UBC iSchool MAS Co-op Student of the Year has been awarded to Grant Hurley for his work with Teck Resources Limited. Grant took on a wide range of responsibilities, including writing a comprehensive manual of policies, procedures, and guidelines for the Corporate Archives, conducting an inventory of potential archival holdings, and assisting in archival reference for employees, members of the Board of Directors, and public researcher. The Designing Interactive Systems (DIS) 2014 Conference is just around the corner and our faculty will be front and centre at the Vancouver-based event.